When garage door openers and garage doors malfunction, many people automatically assume that they will have an expensive repair or replacement bill coming their way. Age, wear, user error and other factors can potentially trigger functionality issues with your garage door. The good news, however, is that many garage door problems that home and business owners experience have simple fixes and will not require costly repairs or replacement. When your garage door stops working, there are times that you may be able to fix a simple problem yourself, but there are plenty of reasons to leave certain garage door repairs to the experts. However, having an understanding of what is wrong with your garage door may help you better determine what is causing your garage door to malfunction, and whether or not it is a quick fix or requires the help from a professional garage door company. To help home and business owners troubleshoot their garage door problems, here are some of the most common garage door problems. Torsions springs play a pretty important role each time you open or close your garage door. Just like any spring, torsion springs store mechanical energy which makes them tighten. Each time the garage door is opened and closed, the springs can eventually start to wear as the door gradually becomes too heavy, causing them to be less effective. Eventually, torsion springs are bound to break if they aren’t inspected or receive annual maintenance. They can also be damaged by cold weather and rust, reducing their effectiveness. A broken torsion spring can cause a garage door to drop rapidly, potentially causing injury or death. However, torsion springs are most dangerous when people try to replace them themselves without the proper knowledge or tools. If your garage door has a broken torsion spring, it is recommended that you call in a professional garage door repair company, like Garage Door Doctor. The garage door is crooked. The garage door is jammed. The door opens or closes too quickly. The garage door is unable to open or close. Due to safety concerns, the government mandated garage door opener manufacturers to implement safety devices in order to prevent any accidents. These safety devices, also known an as photo eyes or safety sensors, are placed on each side of the garage door and transmit an invisible beam between them to detect if there is an object in the door’s path when it closes. If anything is interfering with the beam — such as a vehicle, a person, an object, or debris — the door will not close. If this is the cause of your garage door malfunctioning, the fix is pretty simple. All you need to do is remove any objects interfering with the sensors, realign the sensors if they become misaligned, and clean the lenses if they are dirty. If this doesn’t solve the problem, your garage safety sensors may be faulty and need to be replaced. The garage door will not close. The garage door lights flash when trying to close the door. You have to hold in the wall button to close the door. Garage door rollers attach the garage door to the garage door tracks, allowing the door to open and close smoothly. Like many other components of a garage door, worn out garage door rollers can cause a variety of peoples, including obnoxiously loud noises. Worn or broken rollers can cause a garage door to come off of its tracks, and can also cause other garage door opener parts to wear out prematurely. In order to ensure your garage door will not malfunction, it is important to have the rollers inspected and maintenanced by a professional garage door service. Replacing old rollers with new will not only stop further damages from occurring; it will significantly reduce the amount of noise created when opening and closing the garage door. Thegaragee door does not close or open smoothly. The door makes an obnoxious grinding noise when opening or closing. The door creates excessive vibration when operating. The circuit board is the brain of your garage door opener. If your system is not operating properly, the garage door circuit board could be the culprit. A faulty circuit board can cause issues with the operation of a garage door. In fact, one fault in the circuit board can cause the entire system to shut down. If you notice that your garage door is not working the way it should, having a professional garage door expert from Garage Door Doctor inspect your system, including the circuit board, is one of the best ways to get your garage up and running properly. The garage door opener works sporadically. The garage door opener does not work at all. The garage door remote is not working. The safety eyes are not working. The garage door opener just clicks or lights up. The garage door track keeps the garage door aligned properly. These tracks are held in place by brackets that are attached to the door frame. A poorly aligned track can cause the garage door to bend and operate improperly. This can be a serious issue, as a bent, loose, or damaged track can cause the door to fall. Luckily, track issues are easily repaired with the proper knowledge, experience, and equipment. Waiting too long can lead to serious issues, damages, and even potential injury. The professional technicians at Garage Door Doctor can quickly find and repair any issues or damages with garage door tracks, helping home and business owners avoid costly damages and repairs. The garage door sticks or is stuck. The door creates loud, screeching noises when moving. If you are experiencing any of the problems above with your residential or commercial garage door, contact Garage Door Doctor for assistance. 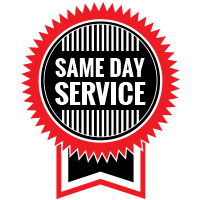 No matter what issues you are having, our experienced professionals can determine the cause of the issue and make the necessary repairs and adjustments to get your garage door running the way it should be. 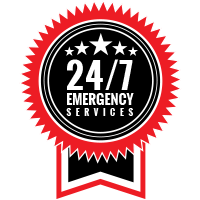 With years of experience, knowledge, and the use of professional equipment and tools, our highly trained team is dedicated helping homes and businesses with garage door repair in Indianapolis.